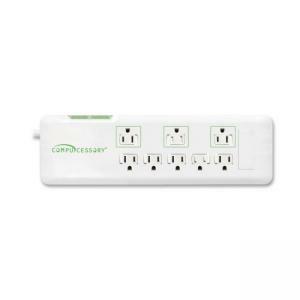 Surge protector offers eight outlets, 2160 Joules of protection, and RJ45 in/out protection. 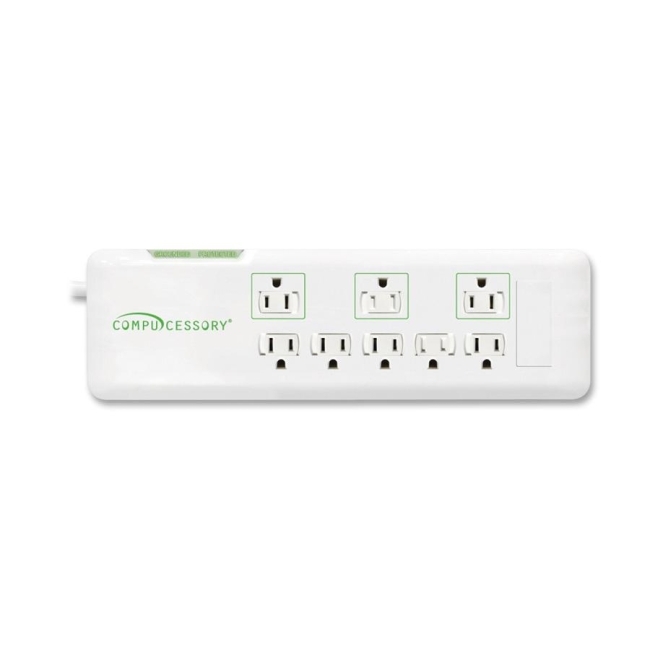 Three outlets can handle the larger power blocks, and the other five outlets are designed for standard three-prong cords. Design also includes an on/off/reset power switch on top, grounded/protected light depiction, and a 6' power cord. Power strip can be wall mounted. The hardware is not included.